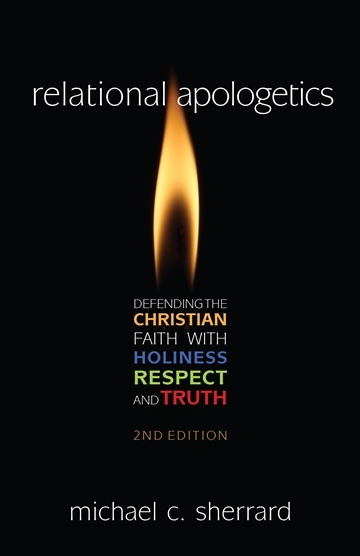 Relational Apologetics is about your life becoming a defense of the Christian faith. Every relationship you have is an opportunity for you to connect people to their creator by displaying your hope, both in word and deed. Defending your faith is not just about answering questions and proving that God exists. It is about showing that He is real by the way you live. It is about demonstrating the power of God through your holiness. And it is about drawing people to Jesus through your kindness. Using stories and drawing on personal experiences, Sherrard teaches the importance of holiness, treating skeptics with respect, engaging in authentic conversations instead of shouting matches, and having well thought out answers to the skeptic s questions. The book doesn t delve deeply into the scientific and philosophical arguments for the existence of God and the validity of Christianity. Rather, it provides solid, simple, and easily remembered reasons why one should believe in each. It will also teach essential relational skills that are necessary for talking to skeptics and maintaining healthy relationships with them. Michael C. Sherrard is the director of Ratio Christi College Prep, Preaching Pastor at Crosspoint Community Church in Peachtree City, GA, the author of Relational Apologetics: Defending the Christian Faith with Holiness, Respect, and Truth, and an indie electronic musician who has released two albums Down with the Darkness and What Comes First. Mike has a B.A. in Religion and a Masters of Divinity with a concentration in Apologetics from Luther Rice Seminary and University, and is a PhD Cand. at Radboud Universtiy Nimjen under renowned New Testament scholar Prof. Jan Van Der Watt.